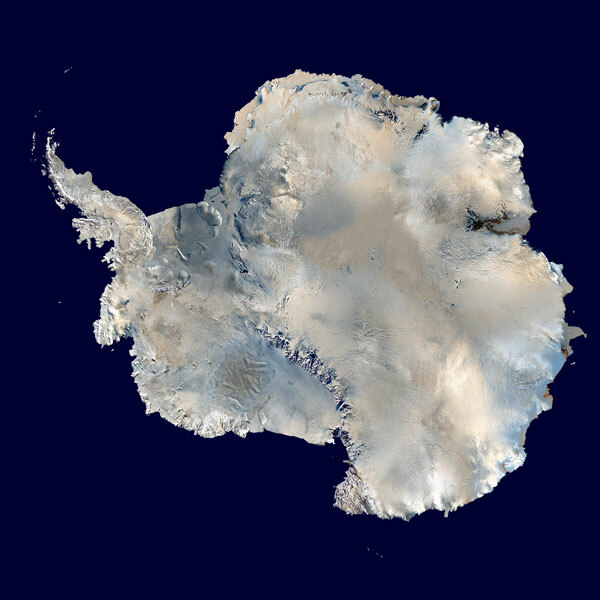 Antarctica (from Greek ανταρκτικως "antarktikos", "opposite the Arctic "), also called the Antarctic or Antarctic continent is the continent on which is the South Pole. The most common definition includes as Antarctic territories south of latitude 60 ° S, coinciding with the area under the Antarctic Treaty. Attending more to the physical geography, the limit would be in the Antarctic Convergence, including for example the islands South Georgia and South Sandwich (near the Americas ). It has a nearly circular 4500 km in diameter on a narrow peninsula that protrudes in the form of "S", directed toward the southern tip of South America .